I loaned my first Pocket PC digital camera to my friend Maria Cron to take with her on a trip to her home Peru. 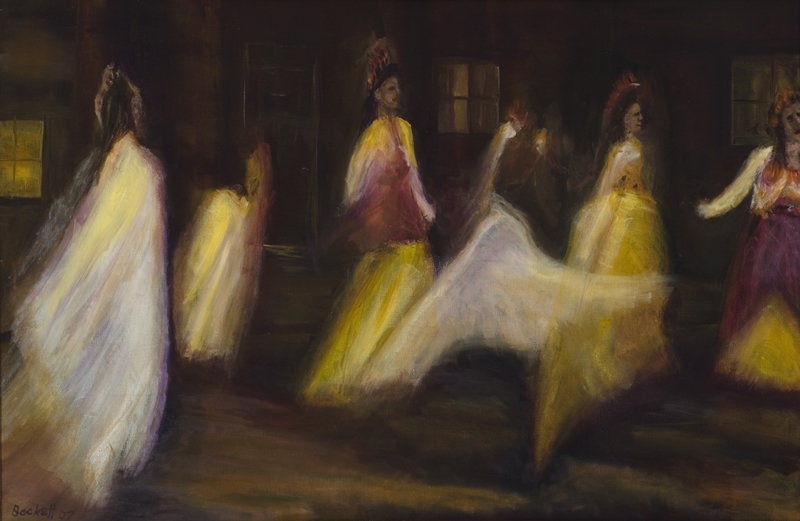 When I saw Maria's photograph, this blur of the dancers of Nuestras Raices (Our Roots) practicing in the nite, in the streets of the barrio, I knew I must paint it. Please support Friends of Nuestras Raices. We contribute to programs that teach the children in San Martin de Porres in Lima about their native culture including the arts, dance, and music.